Ribbon cutting this morning for new platform at Los Angeles Union Station! For those of you who use Union Station, this one's not exactly a shocker — everyone can see the crews that have been working on this project since the spring of 2011. Still, it's a pretty big deal. A new platform — for tracks 13 and 14 — and three new tracks have been added to the east side of Union Station to serve Metrolink and Amtrak. They were removed more than 35 years ago as demand for train travel in L.A. dwindled — and have now been restored as train ridership out of Union Station is higher than it was during World War II. 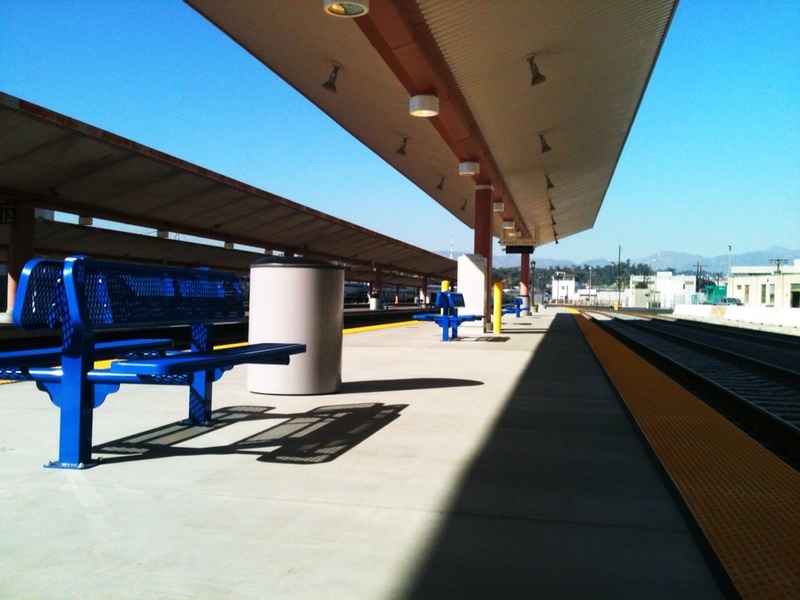 Construction of the new platform was overseen by Metrolink, the commuter rail agency that uses Union Station as a hub. The project cost $24.8 million, with $21.8 million of that coming from Prop 1B, the state transportation bonds approved by voters in 2006. The federal government contributed $2.65 million and $344,000 came from local funds. I'll add some photos to this post later today. Which Metrolink lines will be using the new platforms? I’m not sure off the top of my head. I’ll try to take note on way home later. The place looks so empty. They should’ve at least added a mini Starbucks or a newspaper so that people have something to do while they wait for the train at the platform. I took the photo later in the day after the ribbon cutting and there were no trains present on either side of the platform. None of the platforms at Union Station have newstands or coffee kiosks — but there are shops down below the platforms in Union Station. Not just at Union Station, but all rail stations, need direct services at the platform. That’s where people stay when they’re waiting for the train, not downstairs all the way inside the main terminal area. 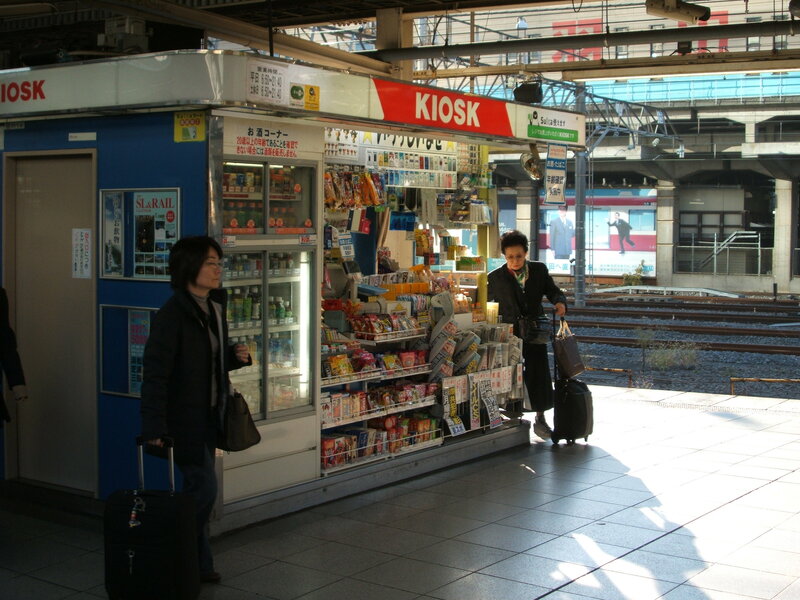 Is having a simple newspaper kiosk directly at the platform like they have in Japan really that difficult to do? Having kiosk on the actual platform is probably not going to happen due to ADA requirements and fire code violations. Metro could not place fare gates on some of the at-grade stations for this very reason.